The Hierophant, also known as The High Priest or The Pope, is a spiritual master that tells you to do the things in the right way. 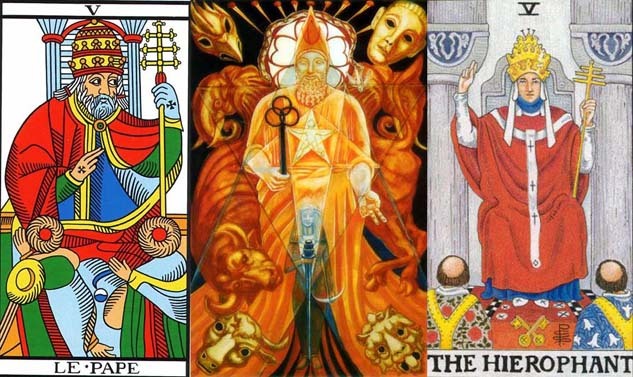 You can see HERE how the masters of the tarot interpreted the fifth major arcana. Now, we present you the meaning of the Hierophant, in divination. The Hierophant is a man sitting on a throne, between two white pillars, wearing a triple crown and holding in his left hand a sceptre terminating in a triple cross. Two fingers of his right hand are pointing skywards, in a gesture of benediction. At his legs, there are two crossed keys, considered the keys to Heaven, and two priestly ministers kneeling before him. 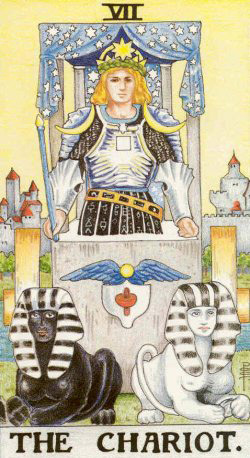 The Hierophant usually indicates a wise person, with knowledge gained through experience. He cannot solve the problem for you, but he surely can give you at least one useful advice. 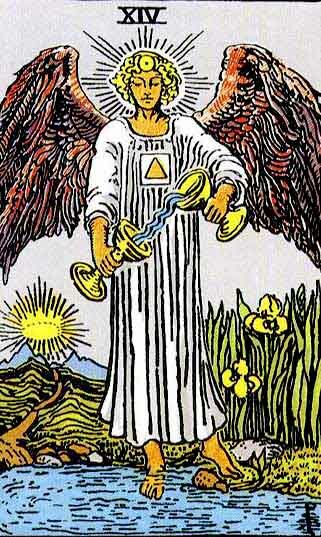 Another important message of the Hierophant is in connexion with spirituality. Maybe you should go to a church or a temple, talk to a priest or just pray, meditate or introduce in your life some daily rituals. Spirituality will help you! This is a good time to find a good financial advisor (or just somebody having more experience dealing with money) and asking for help, with your budget, your business planning and organising your financial resources. Taking financial risks it is not a good idea, for the next few days and weeks. A prudent behaviour is recommended, when we are talking about money and investments. 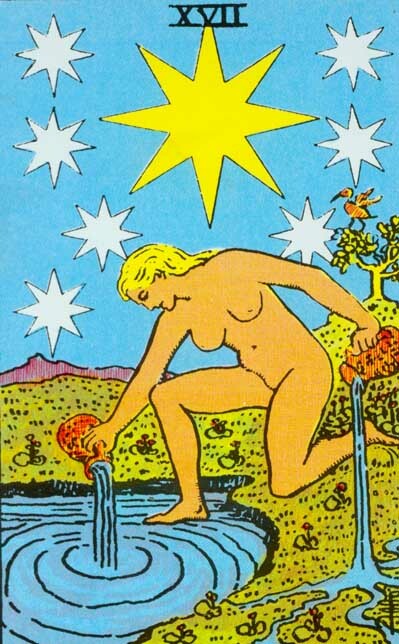 This major arcana is a good indicator of marriage. Most probably, you are mentally prepared for this next stage of your life and you have already met the love of your life. So, why to expect anymore? Propose marriage and enjoy hearing people talking about you two: „they got married and lived happily ever after“. The Hierophant also tells you to remain traditional in love. Forget about innovation and experiment, at least for a few months! The 17th century English poet John Dryden said that „we first make our habits, and then our habits make us”. This is particularly true when we are talking about health. The Hierophant’s message is to bring healthy habits in your daily life> healthy meals, physical exercise and enough sleep are the most simple, but also the most important. Share the post "The Hierophant: Interpretation and Meaning of the Tarot Major Arcana"